The most successful leaders are storytellers. By mastering business storytelling, they achieve extraordinary business results. As a modern-day leader, you know you should develop this skill, but you don't have the time to do this in an ad-hoc way. What you need is a practical, reliable method to follow, one that will allow your business to reap the benefits of storytelling as soon as possible. 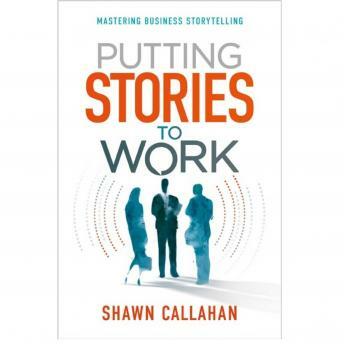 In Putting Stories to Work, Shawn Callahan gives you a clear process for mastering business storytelling. He demolishes the thinking that storytelling has no place at work, reminding us that sharing stories is what we all do naturally, every day, and that it's one of the most powerful tools for getting things done. You just need to adapt this natural superpower to boost your business. Shawn's story mastery process of Discover, Remember, Share and Refresh is based on over two decades' work with high-achieving global companies. In Putting Stories to Work, each step is spelled out in detail, backed up by research, and, needless to say, illustrated by plenty of great stories. Learn how to find and share stories to connect with new people. How to explain why change is needed. How to influence opinions and promote success. And much more. Most importantly, learn how to take the latent skill of storytelling and turn it into a potent business habit. Imagine your colleagues telling the story of how you took the most diverse and opinionated group of experts and had them all working towards the same goal. Or the one about how you persuaded the executive team to change their minds and got a great result for the business. Or the one where everyone got inspired and turned things around. Imagine that your people all know exactly what the company strategy is and how they're making a difference to the organisation. As the successful film executive Peter Guber put it: 'Storytelling is not show business. It's good business'.